Starmark announced today that campaigns on behalf of clients in Orlando and Fort Lauderdale have won three prestigious Hermes Platinum Awards. The Hermes Creative Awards is an international competition for professionals involved in the concept, writing and design of traditional and emerging media. Starmark’s entry on behalf of SeaWorld Orlando’s Epic Voyage Tour was judged to be among the most outstanding in the competition. 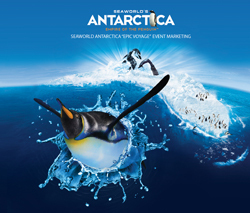 The innovative experiential marketing campaign generated exceptional awareness in 10 of SeaWorld Orlando’s major U.S. feeder cities for the May 24 opening of the attraction Antarctica: Empire of the Penguin. 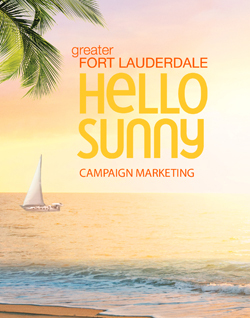 The Greater Fort Lauderdale Convention & Visitors Bureau received the competition’s highest honor for its Hello Sunny integrated marketing campaign. The campaign, international in scope, developed an entirely new identity for the destination. 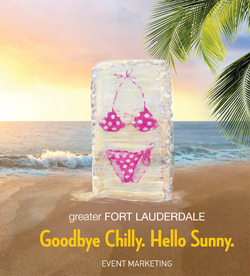 Hello Sunny took advantage of every medium to brand Greater Fort Lauderdale as a state-of-mind – relaxed, carefree, and most importantly, sunny. The Goodbye Chilly, Hello Sunny guerilla marketing campaign also won a Hermes Platinum award for the creative ways it brought winter relief to New York, Chicago and London. Approximately 5,600 entries from throughout the United States and several other countries competed in the 2013 Hermes Creative Awards, with only 15 percent achieving Platinum.